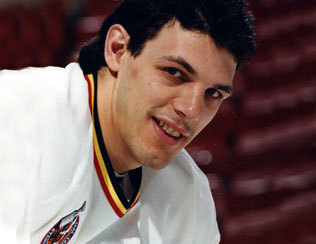 Gino Odjick is best known as a Canuck, but he also played 82 games for the Isles between 1999 and 2000, scoring 9 goals, adding 13 assists and amassing 254 of his career total 2,567 penalty minutes (17th all-time). A story broke out West today that Odjick is battling a rare terminal disease called AL amyloidosis. Dear friends, teammates and fans, We have shared many great moments together over the years but today I need to share the most difficult news of my life. Thoughts and prayers to Gino!